Collaborative Hiring, also known as Team-based Hiring is a process that involves Collaborators (team members, technical leads and sometimes other departmental managers) in the hiring process. This can be anything from having Collaborators help with sourcing, screening, short-listing resumes, participating in interviews, candidate selection and feedback. 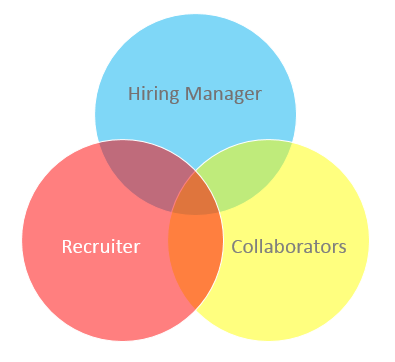 Collaborative Hiring has been used by Google, Facebook, and Apple with great success. Does your company have any collaborative hiring tools?